98. Xiang, W.; Li, Z.; Xu, C.; Li, J. *; Zhang, W.*; Xu, H.*: Quantifying the Bonding Strength of Gold-chalcogen Bonds in Block Copolymer Systems. Chem. Asian J. 2019, DOI: 10.1002/asia.201900332. 97. Liu, C.; Xia, J.; Ji, S.; Fan, Z.; Xu, H.*: Visible-Light-Induced Metathesis Reaction between Diselenide and Ditelluride. Chem. Commun., 2019, 55, 2813 – 2816. 96. Zang, X.; Wang, X.; Xia, J.; Chai, Y.; Ma, X.; Li, R.; Ji, J. *; Xu, H.*; Xue, M.*: Ab Initio Design of Graphene Block Enables Ultrasensitivity, Multimeter‐Like Range Switchable Pressure Sensor. Adv. Mater. Technol., 2019: 1800531. 95. Xia, J.; Zhao, P.; Zheng, K.; Lu, C.; Yin, S.; Xu, H.*: Surface Modification Based on Diselenide Dynamic Chemistry: Towards Liquid Motion and Surface Bioconjugation. Angew. Chem. Int. Ed., 2019, 58, 542. 94. Chen, H.; Gu, Z.; An, H.; Chen, C.; Chen, J.; Cui, R.; Chen, S.; Chen, W.; Chen, X.; Chen, X.; Chen, Z.; Ding,B. ; Dong, Q.; Fan, Q.; Fu, T.; Hou, D.; Jiang, Q.; Ke, H.; Jiang, X.; Liu, G.; Li, S.; Li, T.; Liu, Z.; Nie, G.; Ovais, M.; Pang, D.; Qiu, N.; Shen, Y.; Tian, H.; Wang, C.; Wang, H.; Wang, Z.; Xu, H.; Xu, J.; Yang, X.; Zhu, S.; Zheng, X.; Zhang, X.; Zhao, Y.; Tan, W.*; Zhang, X. *; Zhao, Y. *: Precise Nanomedicine for Intelligent Therapy of Cancer. Sci. China Chem., 2018, 61, 1503-1552. 93. Fan, F.; Ji, S.; Sun, C.; Liu, C.; Yu, Y.; Fu, Y.; Xu, H.*: Wavelength-Controlled Dynamic Metathesis: A Light-Driven Exchange Reaction Between Disulfide and Diselenide Bonds. Angew. Chem. Int. Ed., 2018, 57, 16426. 92. Xia, J.; Li, T.; Lu, C.; Xu, H.*: Selenium-containing Polymer: Perspectives toward Diverse Applications in both Adaptive and Biomedical Materials. Macromolecules, 2018, 51, 7435. 91. Fan, F.; Gao, S.; Ji, S.; Fu, Y. *; Zhang, P.*; Xu, H.*: Gamma Radiation Responsive Side-chain Tellurium-containing Polymer for Cancer Therapy. Mater. Chem. Front., 2018, 2, 2109. 89. 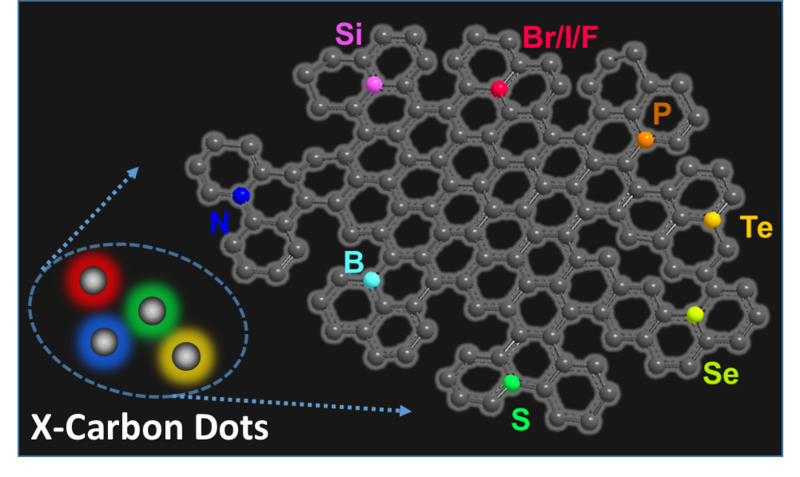 Li, F.*; Yang, D.; Xu, H.*: Non-Metal-Heteroatom-Doped Carbon Dots: Synthesis and Property. Chem. Eur. J., 2019, 25, 1165-1176. 87. Li, F.; Li, Y.; Yang, X.; Han, X.; Jiao, Y.; Wei, T.; Yang, D.; Xu, H.*; Nie, G.*: Highly Fluorescent Chiral N-S-Doped Carbon Dots from Cysteine: Affecting Cellular Energy Metabolism. Angew. Chem. Int. Ed., 2018, 57, 2377. 86. 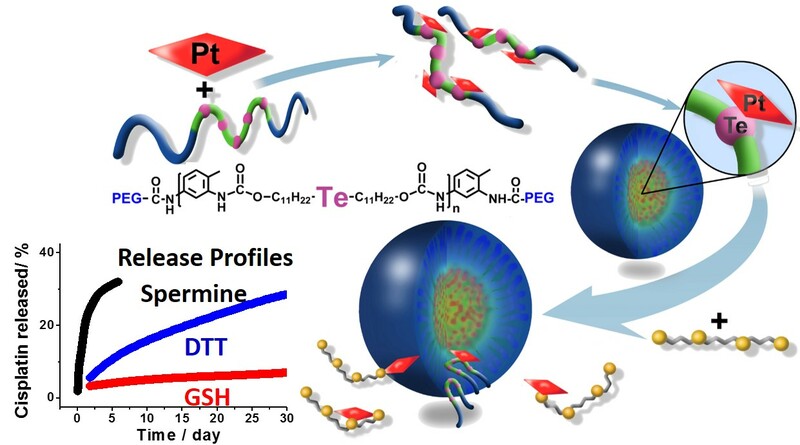 Li, T.; Xiang, W.; Li, F.; Xu, H.*: Self-assembly Regulated Anticancer Activity of Platinum Coordinated Selenomethionine. Biomaterials, 2018, 157, 17. 85. Ji, S.; Fan, F.; Sun, C.; Yu, Y.; Xu, H.*: Visible Light-Induced Plasticity of Shape Memory Polymers. ACS Appl. Mater. Interfaces, 2017, 9, 33169. 84. 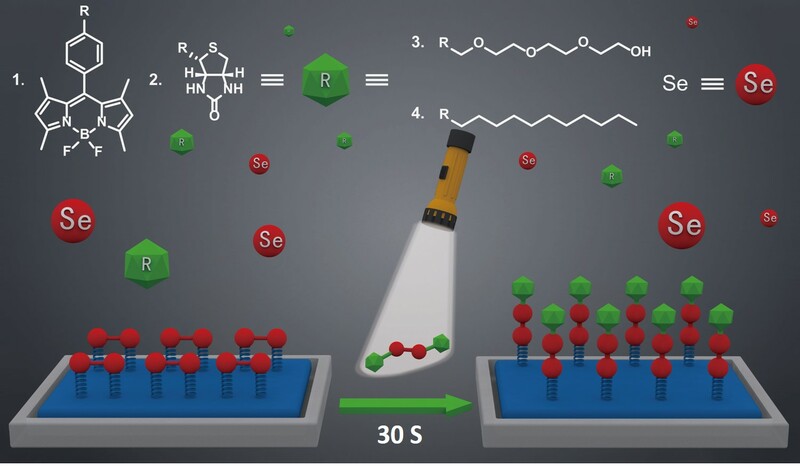 Li, F.; Li, T.; Sun, C.; Xia, J.; Jiao, Y.; Xu, H.*: Selenium-Doped Carbon Quantum Dots (Se-CQDs) for Free Radical Scavenging. Angew. Chem. Int. Ed., 2017, 56, 9910. 83. 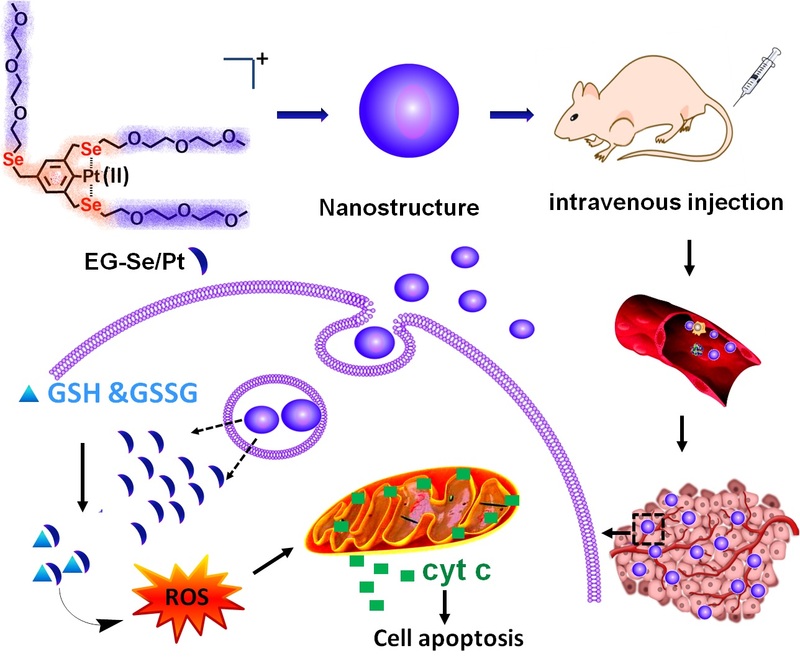 Li, F.; Li, T.; Han, X.; Zhuang, H.; Nie, G.; Xu H.*: Nanomedicine Assembled by Coordinated Selenium−Platinum Complexes Can Selectively Induce Cytotoxicity in Cancer Cells by Targeting the Glutathione Antioxidant Defense System. ACS BIOMATER-SCI ENG, 2018, 4, 1954. 82. Wang, L.; Wang, W.; Cao, W.; Xu, H.*: Multi-hierarchical Responsive Polymers: Stepwise Oxidation of a Selenium- and Tellurium-Containing Block Copolymer with Sensitivity to both Chemical and Electrochemical Stimuli. Polym. Chem., 2017, 8, 4520. 81. 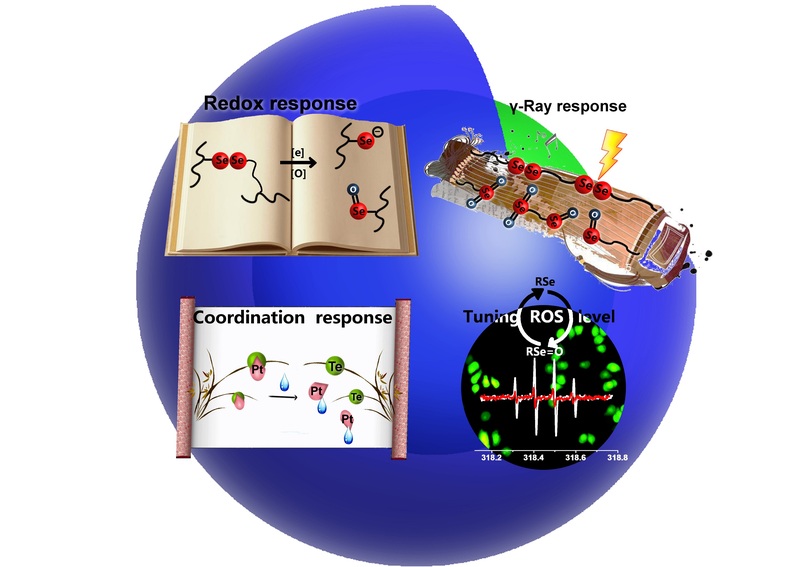 Xia, J.; Li, F.; Ji, S.; Xu, H.*: Selenium-functionalized Graphene Oxide that Can Modulate the Balance of Reactive Oxygen Species. ACS Appl. Mater. Interfaces, 2017, 9, 21413. 80. 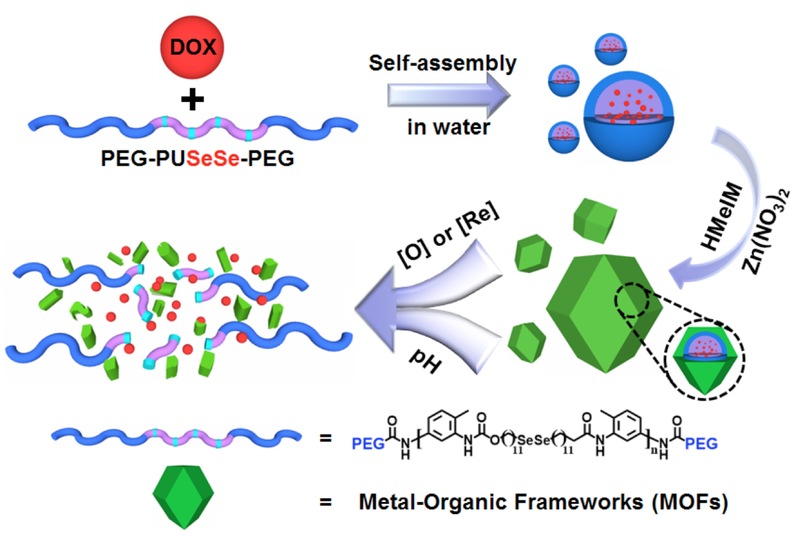 Zhou, W.; Li, H.; Xia, B.; Ji, W.; Ji, S.; Zhang, W.; Huang, W.*; Huo, F.*; Xu, H.*: Selenium-functionalized Metal-Organic Frameworks for Enzyme Mimics. Nano Res., 2018, 11, 5761. 79. 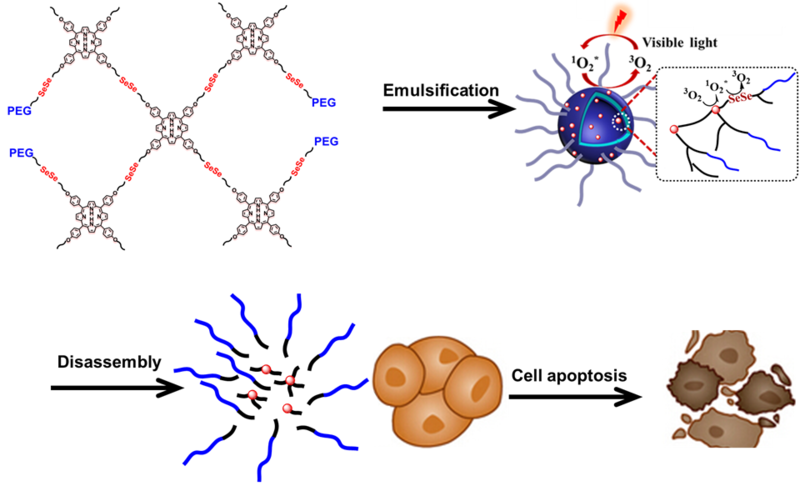 Li, F.; Li, T.; Sun, C.; Xia, J.; Xu, H.*: Near-Infrared Light Stimuli-responsive Synergistic Therapy Nanoplatforms Based on the Coordination of Tellurium-containing Block Polymer and Cisplatin for Cancer Treatment. Biomaterials, 2017, 133, 208. 78. Ji, S.; El Mard, H.; Smet, M.; Dehaen, W.; Xu, H.*: Selenium Containing Macrocycles: Transformation between Se-N/Se-S/SeSe Bonds. Sci. China Chem., 2017, 60, 1191. 77. 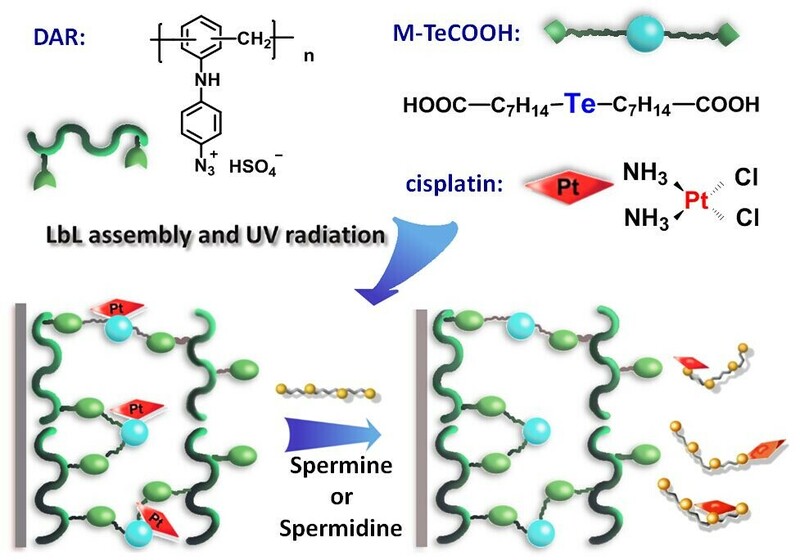 Sun, C.; Ji, S.; Li, F*; Xu, H.*: Diselenide-Containing Hyperbranched Polymer with Light-Induced Cytotoxicity. ACS Appl. Mater. Interfaces, 2017, 9, 12924. 76. Zhou, W.; Wang, L.; Li, F.; Zhang, W.; Huang, W.*; Huo, F.*; Xu, H.*: Selenium-containing Polymer@Metal-organic Frameworks Nanocomposites as an Efficient Multi-responsive Drug Delivery System. Adv. Funct. Mater., 2017, 27, 1605465. 75. Xia, J.; Ji, S.; Xu, H.*: Diselenide Covalent Chemistry at the Interface: Stabilizing Asymmetric Diselenide-containing Polymer via Micelle Formation. Polym. Chem., 2016, 7, 6708. 74. 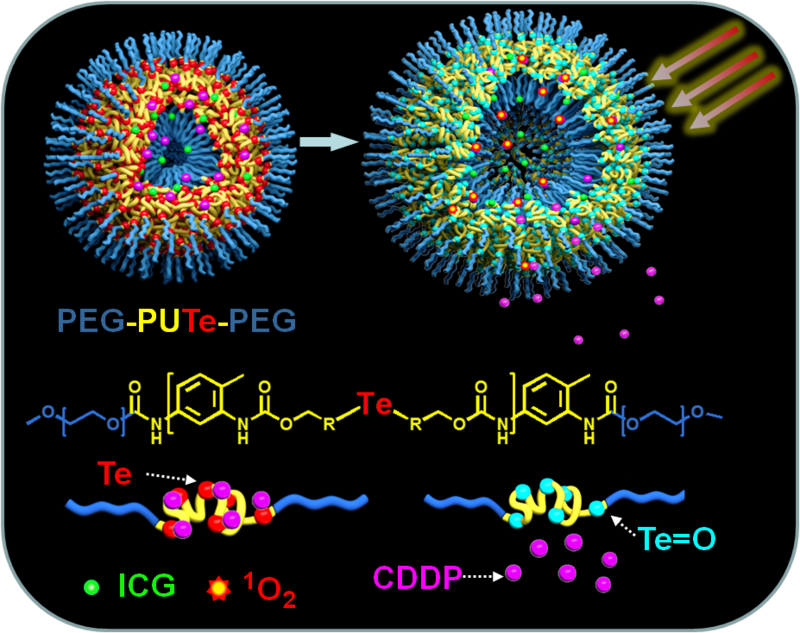 Cao, W.; Li, F.; Chen, R.; Xu, H.*: Tellurium-containing Nanoparticles for Controlled Delivery of Cisplatin Based on Coordination Interaction. RSC Adv., 2016, 6, 94033. 73. Li, T.; Li, F.; Xiang, W.; Yi, Y.; Chen, Y.; Cheng, L.; Liu, Z. 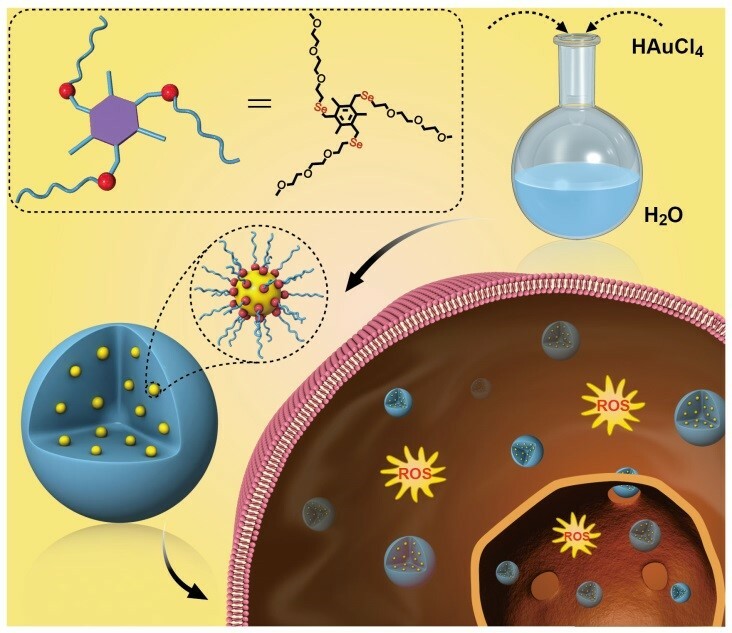 *; Xu, H.*: Selenium-containing Amphiphiles Reduced and Stabilized Gold Nanoparticles: Kill Cancer Cells via Reactive Oxygen Species. ACS Appl. Mater. Interfaces, 2016, 8, 22106. 72. Fan, F.; Wang, L.; Li, F.; Fu, Y. *; Xu, H.*: Stimuli-Responsive Layer-by-Layer Tellurium-Containing Polymer Films for the Combination of Chemotherapy and Photodynamic Therapy. ACS Appl. Mater. Interfaces, 2016, 8, 17004. 71. Wang, L.; Cao, W.; Xu. 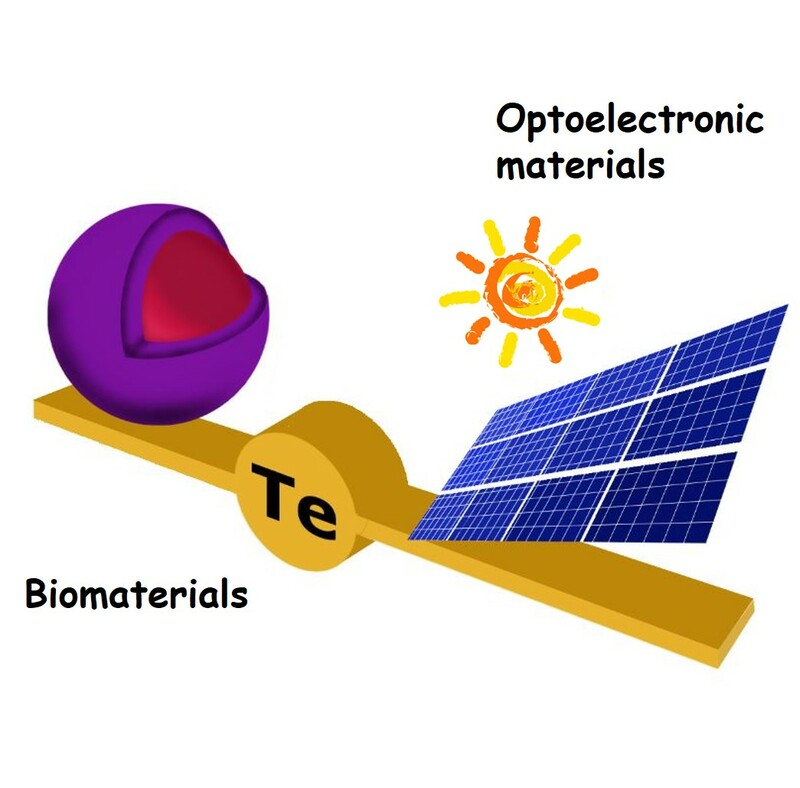 H.*: Tellurium-Containing Polymers: Towards Biomaterials and Optoelectronic Materials. ChemNanoMat, 2016, 2, 479. 70. 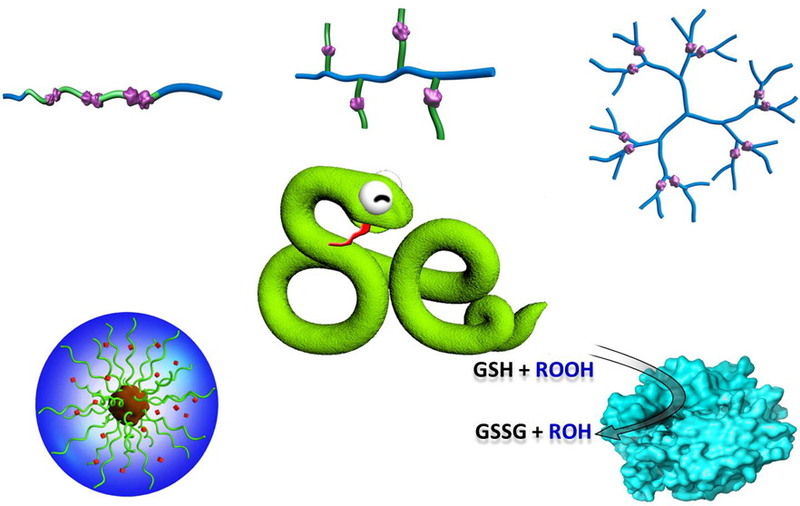 Ji, S.; Xia, J.; Xu, H.*: Dynamic Chemistry of Selenium: Se–N and Se–Se Dynamic Covalent Bonds in Polymeric Systems. ACS Macro Lett., 2016, 5, 78. 69. Cao, W.; Wang, L.; Xu, H.*: Selenium/tellurium Containing Polymer Materials in Nanobiotechnology. Nano Today, 2015, 10, 717. 68. 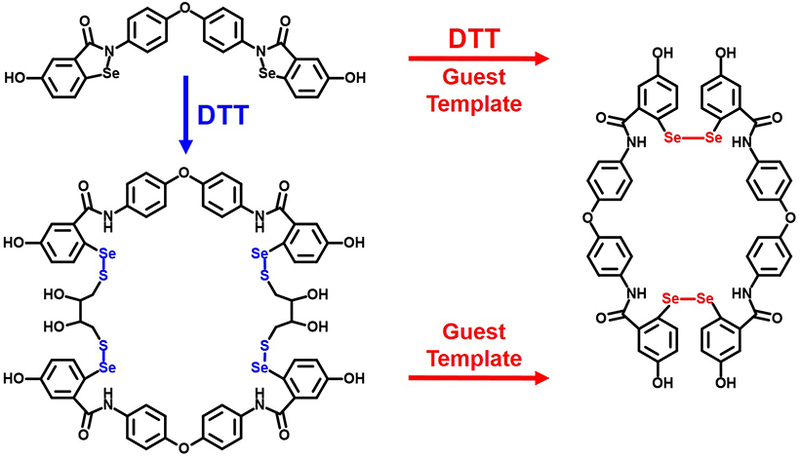 Li, T.; Smet, M.; Dehaen, W. and Xu, H.*: Selenium–Platinum Coordination Dendrimers with Controlled Anti-Cancer Activity. ACS Appl. Mater. Interfaces, 2016, 8, 3609. 67. Ji, S.; Cao, W.; Yu, Y. and Xu, H.*: Visible-Light-Induced Self-Healing Diselenide-Containing Polyurethane Elastomer. Adv. Mater., 2015, 27, 7740. 66. 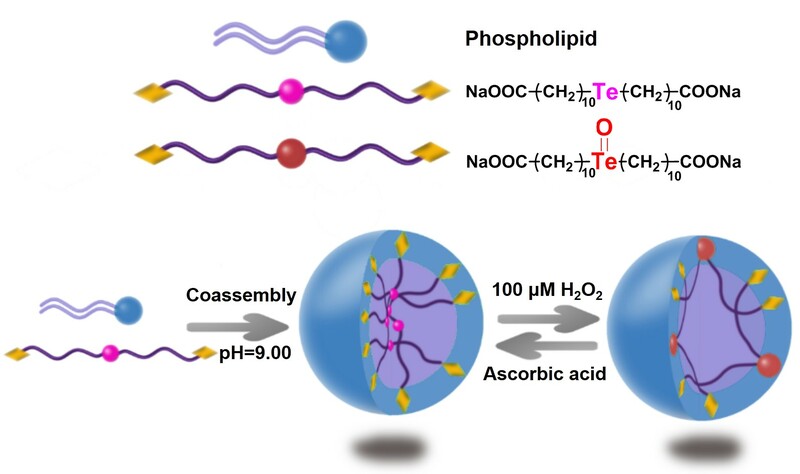 Wang, L.; Fan, F.; Cao, W. and Xu, H.*: Ultra-sensitive ROS-responsive Coassemblies of Tellurium-Containing Molecules and Phospholipids. ACS Appl. Mater. Interfaces, 2015, 7, 16054. 65. Cao, W.; Gu, Y.; Li, T. and Xu, H.*: Ultra-sensitive ROS-responsive Tellurium-containing Polymers. Chem. Commun., 2015, 51, 7069. 64. 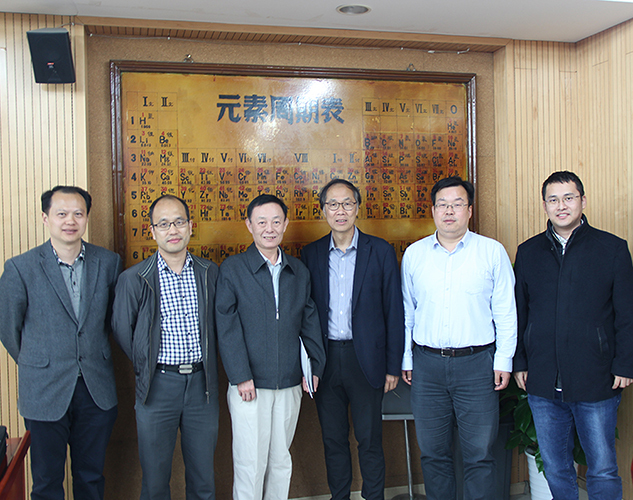 Fang, R., Xu H.*, Cao W., Yang L. and Zhang X. 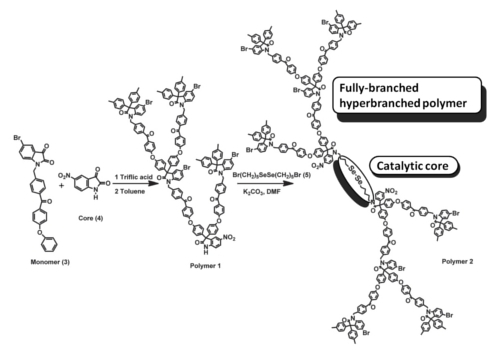 *: Reactive Oxygen Species (ROS)-Responsive Tellurium-Containing Hyperbranched Polymer. Polym. Chem., 2015, 6, 2817. 63. Ren, H.; Huang, Z.; Yang, H.; Xu, H.; Zhang, X. *: Controlling the Reactivity of the Se-Se Bond by the Supramolecular Chemistry of Cucurbituril. ChemPhysChem, 2015, 16, 523. 62. Liu, W.; Wang, J.; Yu, Y.i; Chang, Y.; Tang, N.; Qu, H.; Wang, Y.; Pang, W.; Zhang, H.; Zhang, D.; Xu, H.; Duan, X. *: Tuning the Resonant Frequency of Resonators Using Molecular Surface Self-assembly Approach. ACS Appl. Mat. Interfaces, 2015, 7, 950. 61. Huang, X.; Fang, R.; Wang, D.; Wang, J.; Xu, H.*; Wang, Y. *; Zhang, X.: Tuning Polymeric Amphiphilicity via Se-N Interactions: towards One-step Double Emulsion for Highly Selective Enzyme Mimics. Small, 2015, 11, 1537. 60. Cao, W.; Wang, L.; Xu, H.*: Coordination Responsive Tellurium-containing Mmultilayer Film for Controlled Delivery. Chem. Commun., 2015, 51, 5520. 59. Li, T.; Yi, Y.; Xu, H.*: Selenium-containing Coordinating Assemblies with Selective Anti-cancer Activity: the Control of Reactive Oxygen Species. Acta Chim. Sinica, 2014, 72, 1079. 58. 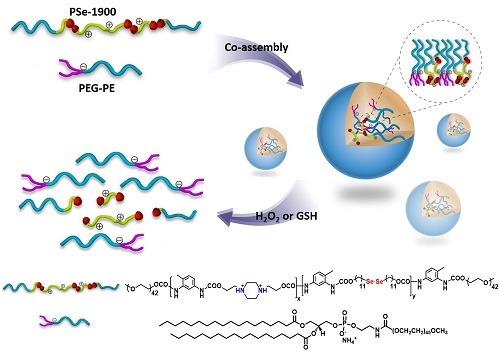 Wang, L.; Cao, W.; Yi, Y.; Xu, H.*: Dual Redox Responsive Co-assemblies of Diselenide-containing Block Copolymers and Polymer Lipids. Langmuir, 2014, 30, 5628. 56. Zeng, L.; Li, Y.; Li, T.; Cao, W.; Yi, Y.; Geng, W.; Sun, Z. 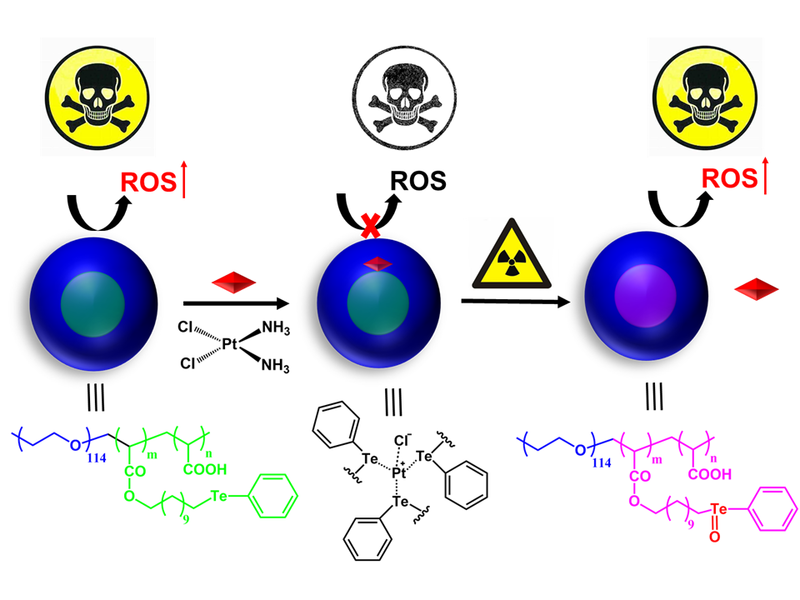 *; Xu, H.*: Selenium-platinum Coordination Compounds as Novel Anticancer Drugs: Selectively Killing Cancer Cells via a ROS-mediated Apoptosis Route. Chem. Asian. J., 2014, 9, 2295. 55. 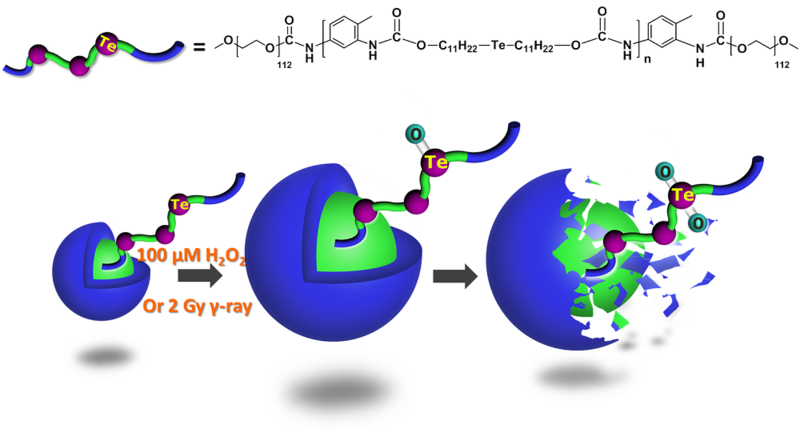 Cao, W.; Gu, Y.; Meineck, M.; Li, T.; Xu, H.*: Tellurium-containing Polymer Micelles: Competitive-Ligand-Regulated Coordination Responsive Systems. J. Am. Chem. Soc., 2014, 136, 5132. 54. Ding, Y.; Yi, Y.; Xu, H.; Wang, Z.; Zhang, X. *: Redox-responsive Thermal Sensitivity Based on a Selenium-containing Small Molecule. Chem. Commun., 2014, 50, 2585. 53. 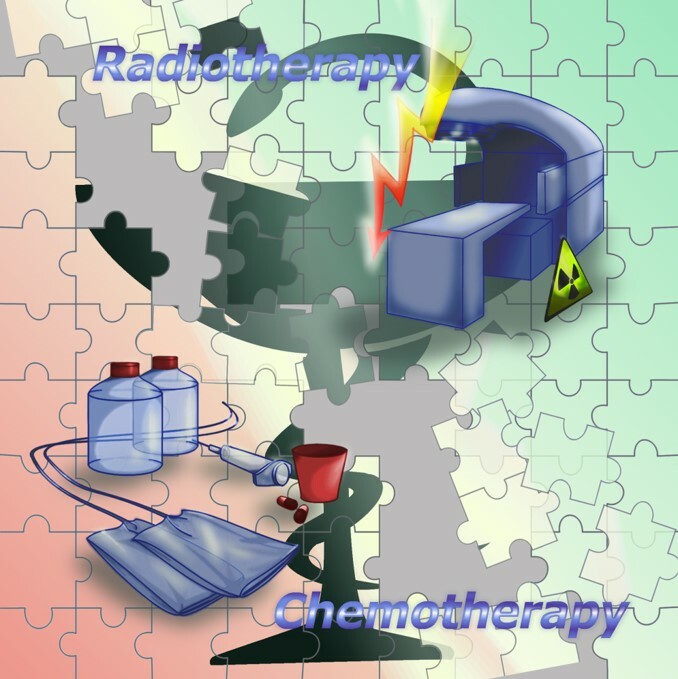 Cao, W.; Gu, Y.; Meineck, M.; Xu, H.*: The Combination of Chemotherapy and Radiotherapy towards More Efficient Drug Delivery. Chem. Asian. J., 2014, 9, 48 (Invitied Focus Review). 52. 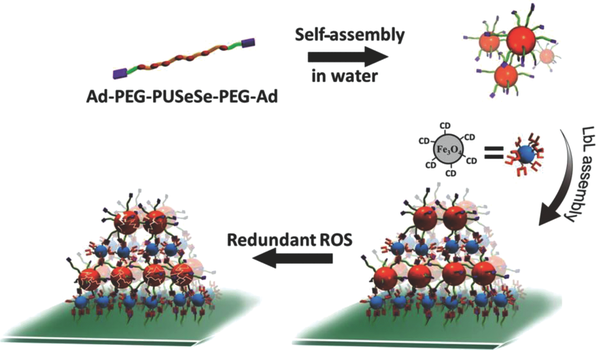 Ji, S.; Cao, W.; Xu, H.*: A ROS Eliminating Nanocomposite Film Fabricated from Diselenide-Containing Polymer Micelles. Part. Part. Syst. Charact., 2013, 30, 1034. 51. Miao, X.; Cao, W.; Zeng, W.; Wang, J.; Gao, J.; Yang, C.; Kong, D.*; Xu, H.*; Wang, L.; Yang, Z. 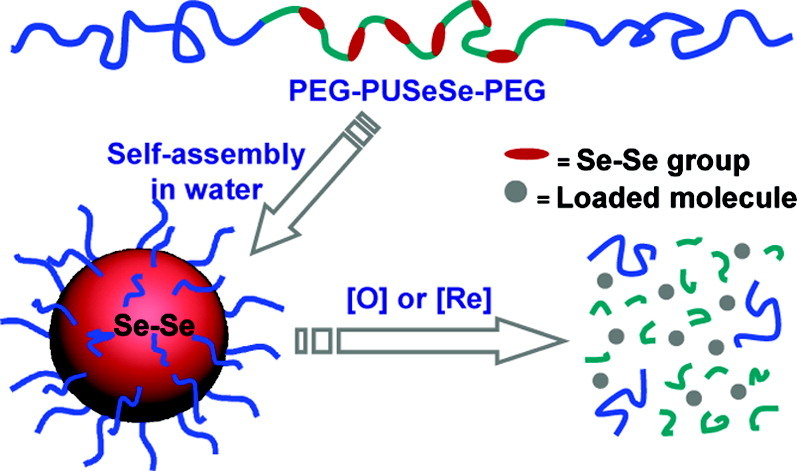 *: Switchable Catalytic Activity: Selenium-containing Peptides with Redox Controllable Self-assembly Property. Angew. Chem. Int. Ed., 2013, 52, 7781. 50. Ren, H.; Wu, Y.; Li, Y.; Cao, W.; Sun, Z. *; Xu, H.*; Zhang, X.: Visible Light Induced Disruption of Diselenide-Containing LbL Films: Toward Combination of Chemotherapy and Photodynamic Therapy. Small, 2013, 9, 3981. 49. Yi, Y.; Xu, H.*; Wang, L.; Cao, W.; Zhang, X. *: A Novel Dynamic Covalent Bond of Se-N: Towards Controlled Self-Assembly and Disassembly. Chem. Eur. J., 2013, 19, 9506. 48. Cao, W.; Zhang, X.; Miao, X.; Yang, Z. 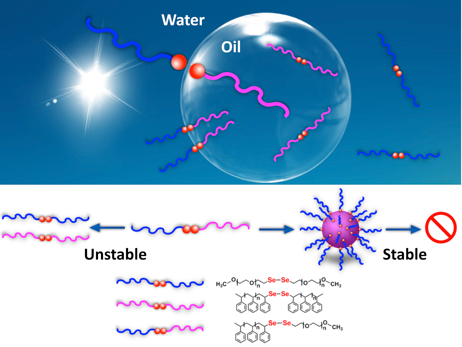 *; Xu, H.*: Gamma-ray Responsive Supramolecular Hydrogel Based on Diselenide-containing Polymer and Peptide. Angew. Chem. Int. Ed., 2013, 52, 6233. 47. Xu, H.*; Cao, W.; Zhang, X. 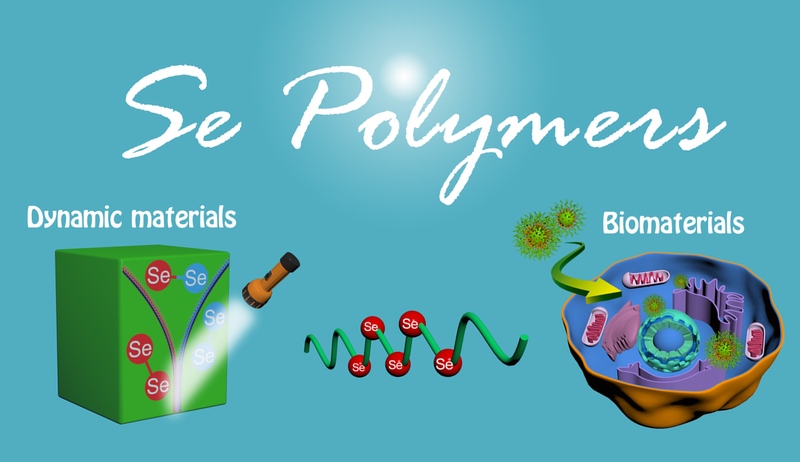 *: Selenium-containing Polymers: Promising Biomaterials for Controlled Release and Enzyme Mimics. Acc. Chem. Res., 2013, 46, 1647. 46. Xu, H.*; Chen, D.; Wang, S.; Zhou, Y.; Sun, J.; Zhang, W.; Zhang, X. *: Macromolecular Self-Assembly and Nanotechnology in China. Trans. R. Soc. A, 2013, 371, 20120305. 45. Huang, X.; Qian, Q.; Zhang, X.; Du, W.; Xu, H.; Wang, Y. *: Assembly of Carbon Nanotubes on Polymer Particles: Towards Rapid Shape Change by Near-Infrared Light. Part. Part. Syst. Charact., 2013, 30, 235. 43. Han, P.; Li, S.; Cao, W.; Li, Y.; Sun, Z.; Wang, Z.; Xu, H.*: Red Light Responsive Diselenide-containing Block Copolymer Micelles. J. Mater. Chem. B, 2013, 1, 740. 42. Cao, W.; Li, Y.; Yi, Y.; Ji, S.; Zeng, L.; Sun, Z. 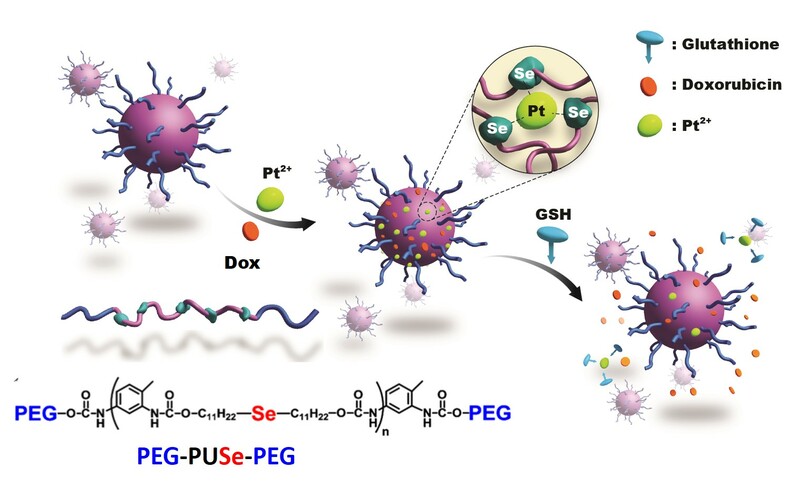 *; Xu, H.*: Coordination-Responsive Selenium-Containing Polymer Micelles for Controlled Drug Release. Chem. Sci., 2012, 3, 3403. 41. Yi, Y.; Fa, S.; Cao, W.; Zeng, L.; Wang, M.; Xu, H.*; Zhang, X.: Fabrication of Well-Defined Crystalline Azacalixarene Nanosheets Assisted by Se•••N Non-Covalent Interaction. Chem. Commun., 2012, 48, 7495. 40. Tan, X.; Yu, Y.; Liu, K.; Xu, H.; Liu, D.; Wang, Z.; Zhang, X. 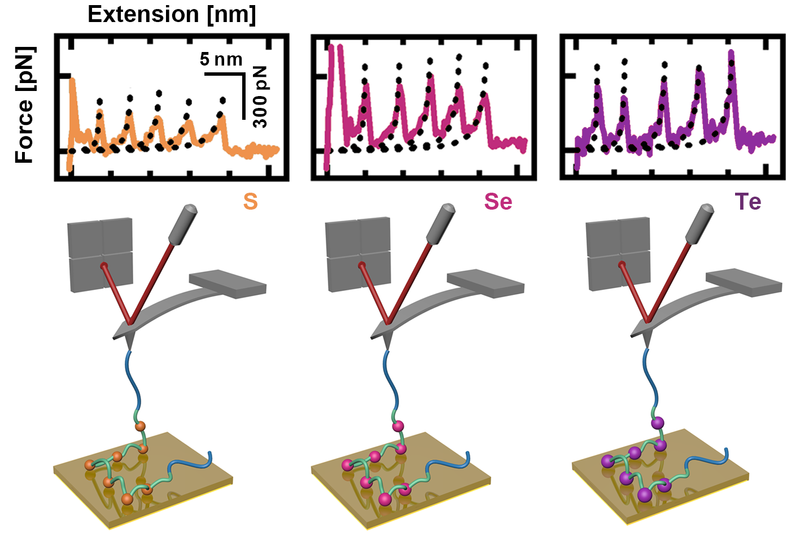 *: Single-Molecule Force Spectroscopy of Selenium-Containing Amphiphilic Block Copolymer: Toward Disassembling the Polymer Micelles. Langmuir, 2012, 28, 9601. 39. Meng, F.; Xu, H.; Qi, Y.; Xu, K.; Song, X.; Niu, S.; Li, J. *: Preliminary Studies on X-Ray-sensitive Liposome. Chem. Res. Chinese Universities, 2012, 28, 319. 38. Wu, G.; Verwilst, P.; Xu, J.; Xu, H.; Wang, R.; Smet, M.; Dehaen, W.; Faul, C. F. J.; Wang, Z.; Zhang, X. *: Bolaamphiphiles Bearing Bipyridine as Mesogenic Core: Rational Exploitation of Molecular Architectures for Controlled Self-Assembly. Langmuir, 2012, 28, 5023. 37. 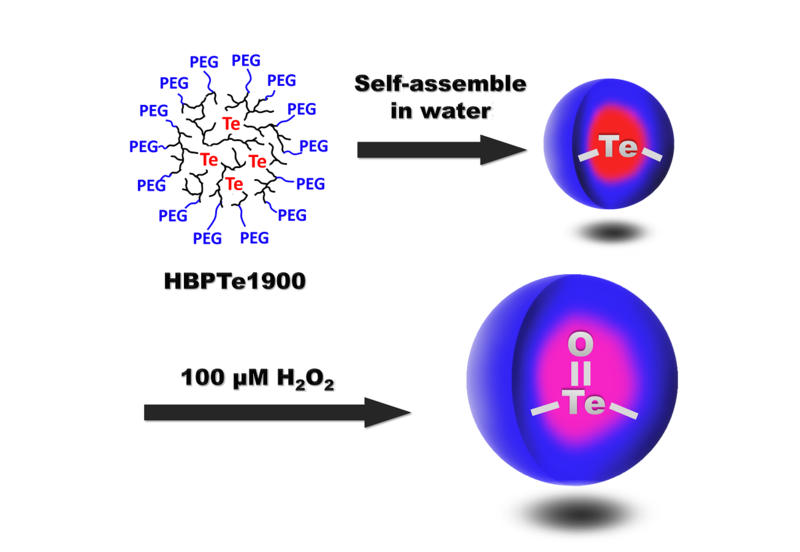 Li, S.; Han, P.; Xu, H.*: Self-healing Polymeric Materials. (in Chinese) Progress in Chemistry, 2012, 24, 1346. 35. 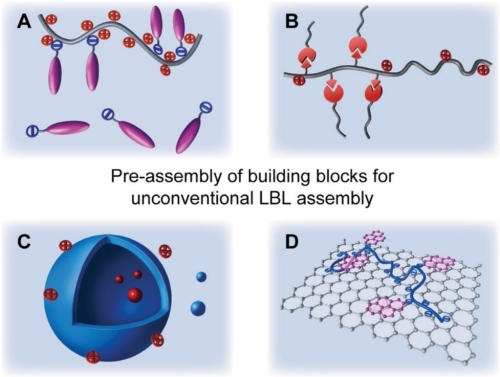 Xu, H.*; Schönhoff, M.; Zhang, X.: Unconventional Layer-by-Layer Assembly: Surface Molecular Imprinting and Its Applications. Small, 2012, 8, 517. 33. Han, P.; Li, S.; Wang, C.; Xu, H.; Wang, Z.; Zhang, X. 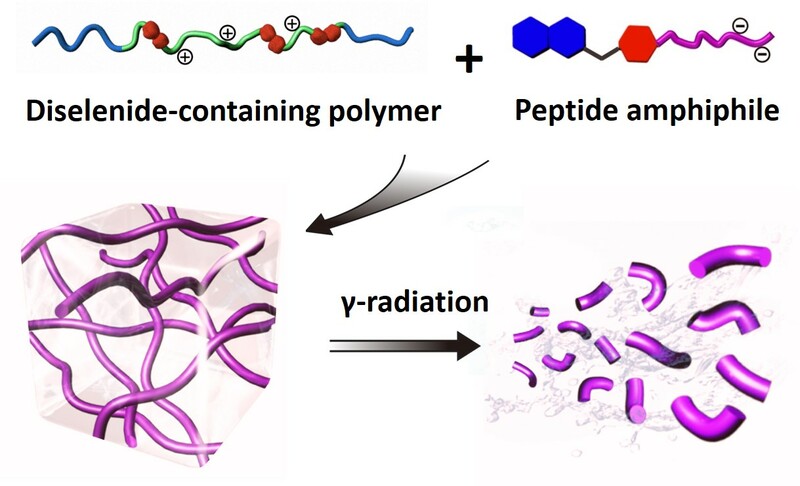 *; Thomas, J.; Smet, M.: UV-Responsive Polymeric Superamphiphile Based on a Complex of Malachite Green Derivative and a Double Hydrophilic Block Copolymer. Langmuir, 2011, 27, 14108. 32. Liu, Z.; Yi, Y.; Gauczinski, J.; Xu, H.; Schönhoff, M.*; Zhang, X. *: Surface Molecular Imprinted Layer-by-Layer Film Attached to a Porous Membrane for Selective Filtration. Langmuir, 2011, 27, 11806. 31. Ma, N.; Xu, H.*; An, L.; Li, J.; Sun, Z.; Zhang, X. 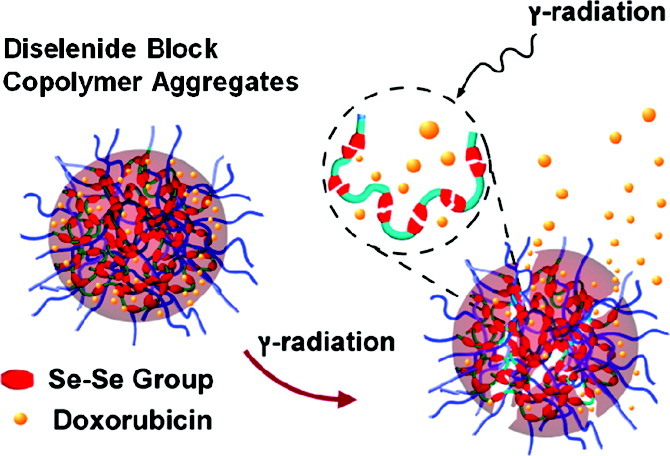 *: Radiation-Sensitive Diselenide Block Copolymer Micellar Aggregates: Toward the Combination of Radiotherapy and Chemotherapy. Langmuir, 2011, 27, 5874. 30. Ding, Y.; Chen, S.; Xu, H.; Wang, Z.; Zhang, X. 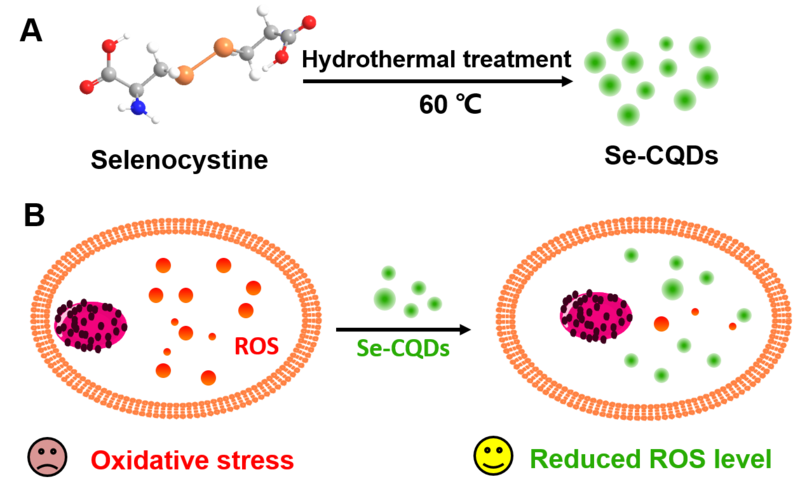 *: Reversible Dispersion of Single-Walled Carbon Nanotubes Based on a CO2-Responsive Dispersant. Langmuir, 2010, 26, 16667. 29. Han, P.; Ma, N.; Ren, H.; Xu, H.*; Li, Z.; Wang, Z. 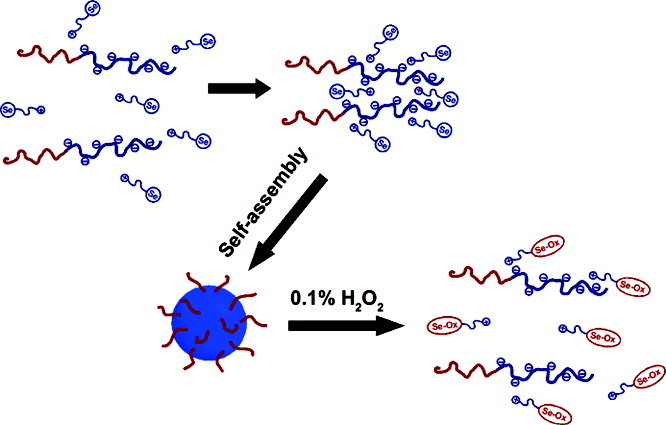 *; Zhang, X.: Oxidation-Responsive Micelles Based on a Selenium-Containing Polymeric Superamphiphile. Langmuir, 2010, 26, 14414. 27. Wang, Y.; Han, P.; Wu, G.; Xu, H.; Wang, Z.; Zhang, X. *: Selectively Erasable Multilayer Thin Film by Photo Induced Disassembly. Langmuir, 2010, 26, 9736. 25. Gao, J.; Liu, Y.; Xu, H.*; Wang, Z.; Zhang, X. 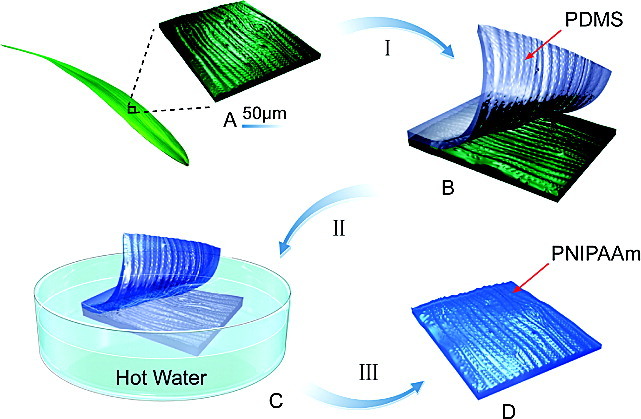 *: Biostructure-like Surfaces with Thermally Responsive Wettability Prepared by Temperature Induced Phase Separation Micro-molding. Langmuir, 2010, 26, 9673. 24. Wang, C.; Chen, Q.; Xu, H.; Wang, Z.; Zhang, X. 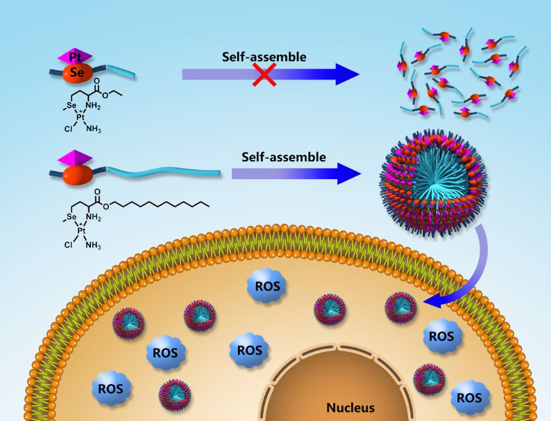 *: Photo-responsive Supramolecular Amphiphiles for Controlled Self-assembly of Nanofibers and Vesicles. Adv. Mater. 2010, 22, 2553. 23. Ma, N.; Li, Y.; Xu, H.*; Wang, Z.; Zhang, X. 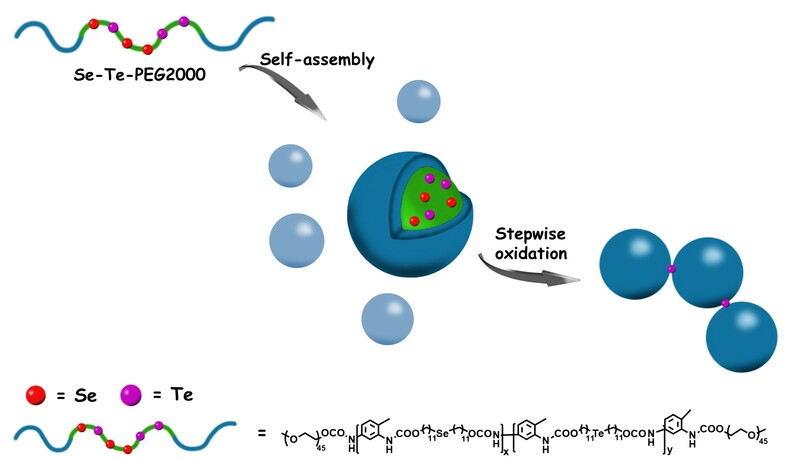 *: Dual Redox Responsive Assemblies Formed from Diselenide Block Copolymers. J. Am. Chem. Soc., 2010, 132, 442. 22. 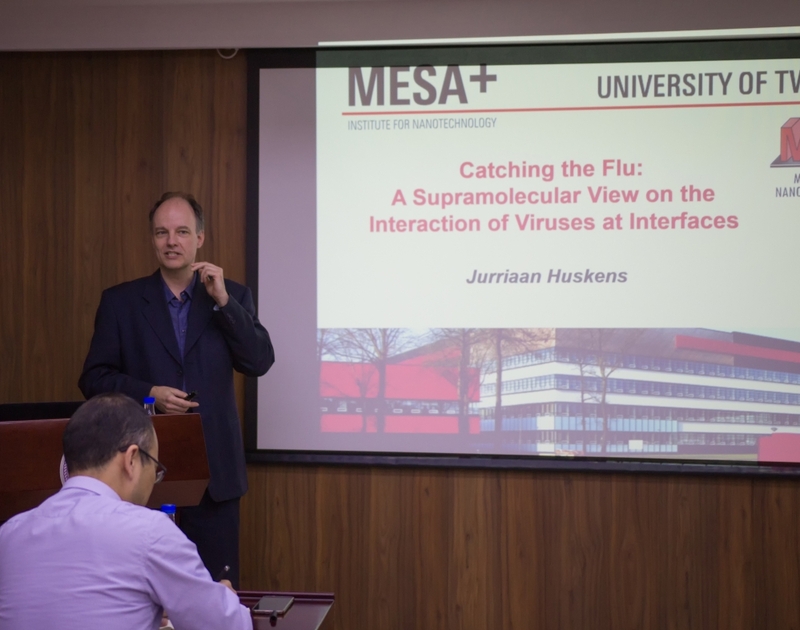 Xu, H.*; Huskens, J. *: Versatile Stamps in Microcontact Printing: Transferring Inks by Molecular Recognition and from Ink Reservoirs. Chem. Eur. J., 2010, 16, 2342. 21. Wang, C.; Guo, Y.; Wang, Y.; Xu, H.; Wang, R.; Zhang, X. *: Supramolecular Amphiphiles Based on Water-soluble Charge Transfer Complex: Fabrication of Ultra-long Nanofiber with Tunable Straightness. Angew. Chem. Int. Ed., 2009, 48, 8962. 20. Wang, Y.; Zhang, M.; Moers, C.; Chen, S.; Xu, H.; Wang, Z.; Zhang, X. *; Li, Z.: Block Copolymer Aggregates with Photo-responsive Switches: Towards a Controllable Supramolecular Container. Polymer, 2009, 50, 4821. 19. Wang, C.; Guo, Y.; Wang, Y.; Xu, H.; Zhang, X. *: Redox Responsive Supramolecular Amphiphiles Based on Reversible Charge Transfer Interactions. Chem. Commun., 2009, 5380. 18. Xu, H.*; Gomez-Casado, A.; Liu, Z.; Reinhoudt, D. N.; Lammertink, R. G. H.*; Huskens, J. *: Porous Multilayer-Coated PDMS Stamps for Protein Printing. Langmuir, 2009, 25, 13972. 17. Wang, Y.; Han, P.; Xu, H.; Wang, Z.; Zhang, X. 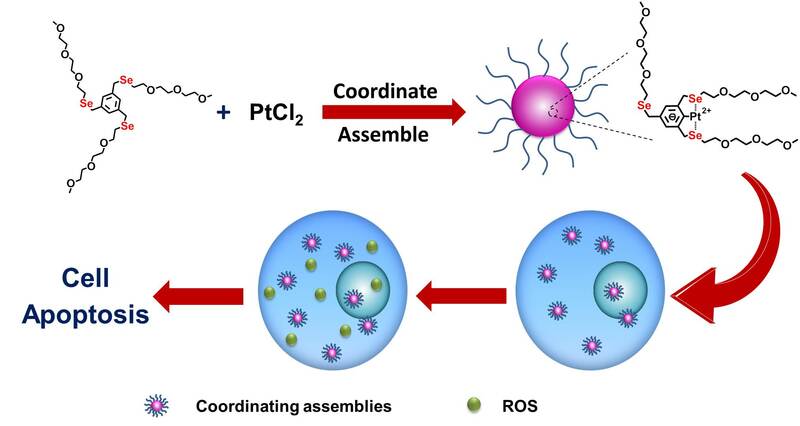 *; Kabanov, A. V.: Photocontrolled Self-assembly and Disassembly of Block Ionomer Complex Vesicles: A Facile Approach toward Supramolecular Polymer Nanocontainers. Langmuir, 2010, 26, 709. 16. Wan, P.; Wang, Y.; Jiang, Y.; Xu, H.; Zhang, X. *: Fabrication of Reactivated Biointerface for Dual-Controlled Reversible Immobilization of Cytochrome c. Adv. Mater., 2009, 21, 4362. 15. Wu, C.; Xu, H.; Otto, C.; Reinhoudt, D. N.; Lammertink, R. G. H.; Huskens, J.; Subramaniam, V.*; Velders, A. H.*: Porous Multilayer-Coated AFM Tips for Dip-Pen Nanolithography of Proteins. J. Am. Chem. Soc., 2009, 131, 7526. 14. Zhang, Y.; Yu, Y.; Jiang, Z.; Xu, H.; Wang, Z.; Zhang, X. *; Oda, M.; Ishizuka, T.; Jiang, D.*; Chi, L.; Fuchs, H.: Single-Molecule Study on Intermolecular Interaction between C60 and Porphyrin Derivatives: Toward Understanding the Strength of the Multivalency. Langmuir, 2009, 25, 6627. 13. Jiang, Y.; Wan, P.; Xu, H.; Wang, Z.; Zhang, X. 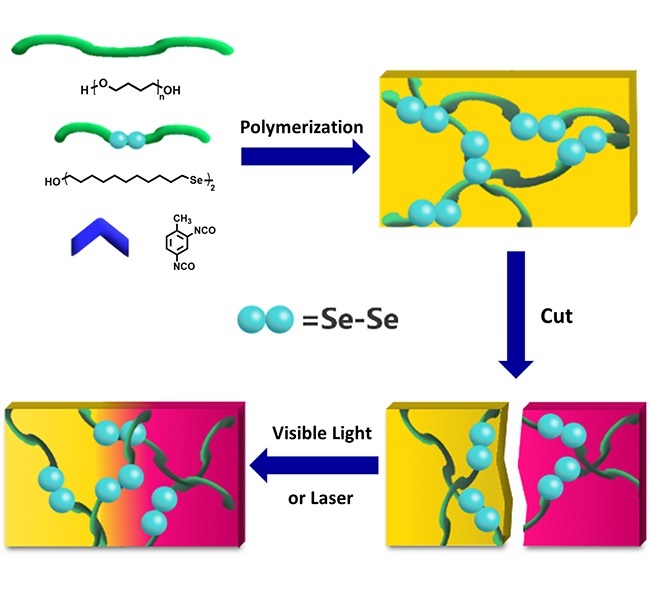 *; Smet, M.: Facile Reversible UV-Controlled and Fast Transition from Emulsion to Gel by Using a Photoresponsive Polymer with a Malachite Green Group. Langmuir, 2009, 25, 10134. 12. Wang, Y.; Xu, H.; Zhang, X. *: Tuning the Amphiphilicity of Building Blocks: Controlled Self-assembly and Disassembly for Functional Supramolecular Materials. Adv. Mater., 2009, 21, 2849. 11. Gao, J.; Liu, Y.; Xu, H.*; Wang, Z.; Zhang, X. *: Mimicking Biological Structured Surfaces by Phase Separation Micromolding. Langmuir, 2009, 25, 4365. 10. Xu, H.; Ling, X.; van Bennekom, J.; Duan, X.; Ludden, M. J. W.; Reindoudt, D. N.; Wessling, M.; Lammertink, R. G. H.*; Huskens, J. *: Microcontact Printing of Dendrimers, Proteins, and Nanoparticles by Porous Stamps. J. Am. Chem. Soc., 2009, 131, 797. 9. Wang, C.; Yin, S.; Chen, S.; Xu, H.; Wang, Z.; Zhang, X. *: Controlled Self-Assembly Manipulated by Charge-Transfer Interactions: From Tubes to Vesicles. Angew. Chem. Int. Ed., 2008, 47, 9049. 8. Gao, J.; He, Y.; Xu, H.; Song, B.; Zhang, X. *; Wang, Z.; Wang, X. *: Azobenzene-containing Supramolecular Polymer Films for Laser-Induced Surface Relief Gratings. Chem. Mater., 2007, 19, 14. 7. Jiang, Y.; Wang, Z.; Xu, H.; Chen, H.; Zhang, X. *; Smet, M.; Dehaen, W.; Hirano, Y.; Ozaki, Y.: Investigation into pH-responsive Self-Assembled Monolayers of Acylated Anthranilate Terminated Alkane Thiol on a Gold Surface. Langmuir, 2006, 22, 3715. 6. Wang, Y.; Xu, H.; Ma, N.; Wang, Z.; Zhang, X. 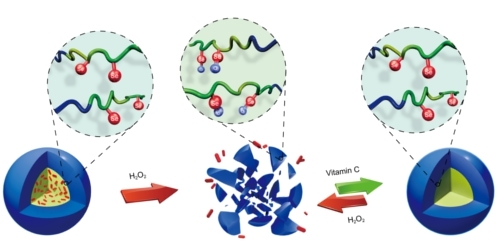 *; Liu, J.; Shen, J.: Block Copolymer Micelles as Matrixes for Incorporating Diselenide Compound: Water-soluble Glutathione Peroxidase Mimic Fine-tuned by Ionic Strength. Langmuir, 2006, 22, 5552. 5. Xu, H.; Wang, Y.; Wang, Z. *; Liu, J.; Smet, M.*; Dehaen, W.: Dendritic Tellurides Act as Antioxidant. Chinese Science Bulletin, 2006, 51, 2315. 4. Xu, H.; Gao, J.; Wang, Y.; Wang, Z.; Smet, M.*; Dehaen, W.; Zhang, X. *: Hyperbranched Polyselenides as Glutathione Peroxidase Mimics. Chem. Commun., 2006, 796. 3. Jiang, Y.; Wang, Z.; Yu, X.; Shi, F.; Xu, H.; Zhang, X. *: Self-Assembled Monolayers of Dendron Thiols for Electrodeposition of Gold Nanostructures: Toward Fabrication of Superhydrophobic/Superhydrophilic Surfaces and pH-Responsive Surfaces. Langmuir, 2005, 21, 1986. 1. Huo, F.; Xu, H.; Zhang, L.; Fu, Y.; Wang, Z.; Zhang, X. *: Hydrogen-bonding Based Multilayer Assemblies by Self-deposition of Dendrimer. Chem. Commun., 2003, 874.